As partner and CEO, Graziella Jackson leads the business, cultural, creative, and technological growth and development of Echo&Co. Graziella helps social sector organizations meaningfully engage constituents by implementing advanced digital practices and tools. She oversees Echo’s work in sharing human-centered design with clients who want to better understand digital and produce more effective results, particularly within nonprofit and philanthropic organizations, social and civic tech startups and ventures, and the educational technology field. Graziella also provides coaching to leaders within these organizations on removing internal barriers and improving collaboration and performance across and within divisions and teams. Prior to joining Echo&Co, Graziella worked with social and private sector organizations to transform digital through content strategy and user experience design. Graziella also was an engagement director with the Organic, Inc., a senior director of digital for The Wilderness Society, and an information architect with NavigationArts. She has worked with nonprofit organizations and consumer brands including the Eugene and Agnes E. Meyer Foundation, ASPCA, Newseum, Greenpeace, AARP, The George Washington University, National Education Association, Natural Resource Defense Council, Volkswagen, NASDAQ, and Rosetta Stone. 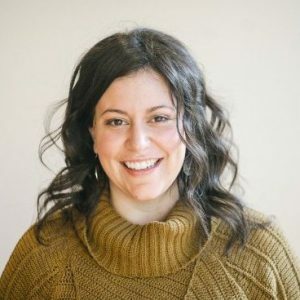 Graziella has a Bachelor of Arts in communication with a journalism focus from George Mason University and a Master’s degree in communication, culture, and technology from Georgetown University. She is a member of the 2017 class of Leadership Greater Washington and has presented at the Nonprofit Technology Conference, ADWKDC, Web of Change, and Newseum Summer Teaching Institute. Graziella chairs the board of United for Iran, a nonprofit organization that uses digital technology to advance civil liberties in Iran, whose work has been featured in WIRED, BuzzFeed, and Fast Company. She has taught English as a second language and literacy in Washington, D.C., and Prince George’s County, Md., and is an active Washington, D.C.-based playwright whose works have been read and produced for the Capital Fringe Festival, Source Festival, One Minute Play Festival (1MPF), Theatre J, and The Playwright’s Forum. Graziella is a native Washingtonian, dual Brazilian-American citizen, and veteran of the United States Marine Corps.